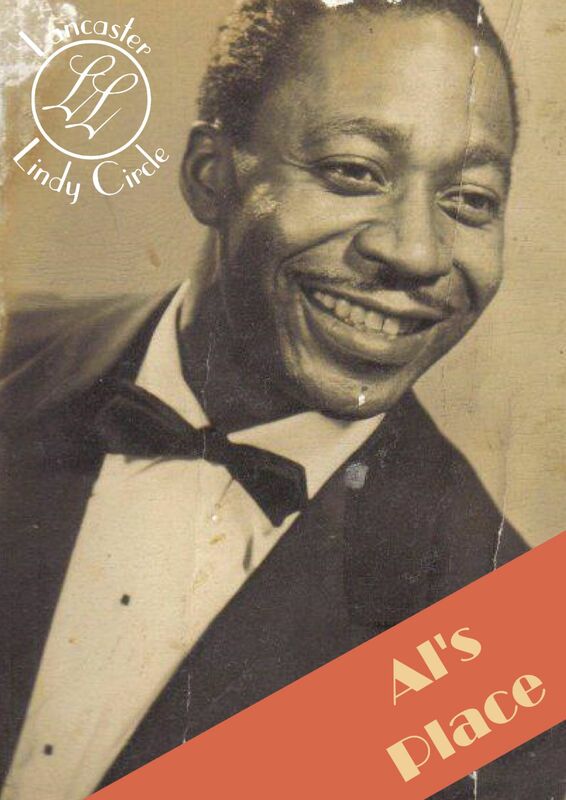 Classes - Come and learn to Lindy Hop with us! 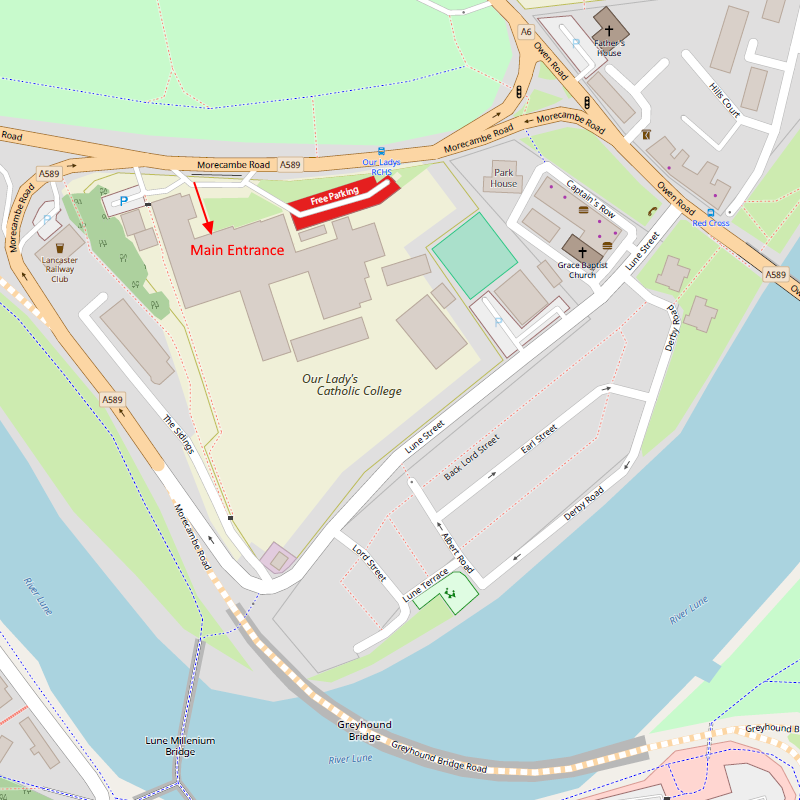 We run classes every Thursday evening at Our Lady's Catholic College, Morecambe Rd, Lancaster LA1 2RX. There is no need to book in advance, or start on a particular date, you can just come to any Thursday class! You don't need to bring a partner as we rotate partners during classes. Just bring yourself, your feet and some comfortable shoes to dance in! You don't need to go out and buy dancing shoes, just avoid very grippy shoes like trainers or very high heels - flat, smooth soled shoes which will stay on your feet securely are ideal. 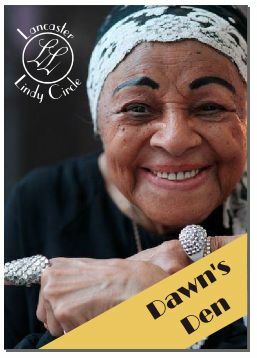 Our Thursday classes are run in two separate rooms in Our Lady's, which we call Al's Place (named after Whitey's Lindy Hopper, Al Minns - here in a clip from the film Hellzapoppin') and Dawn's Den (named after jazz singer, musician, dancer, and songwriter Dawn Hampton, dancing here at over 80 years old). We charge £5 per night and you are free to choose your own adventure (Improvers/Dawn's Den or Improvers/Fundamentals) depending on your experience level. For students and any other concessions, a discount of £1 applies (£4). Please bring student ID or have a word with one of the Committee for concessions (low income, unwaged, in receipt of benefits etc). We operate a loyalty card scheme so if it's your first time then please pick up a card and get your first stamp! To take part in our Improver classes, we ask that everyone should have taken all our Fundamentals classes(approx. 3 months), or have a similar level of experience having learned elsewhere. Ask a teacher if you are unsure! 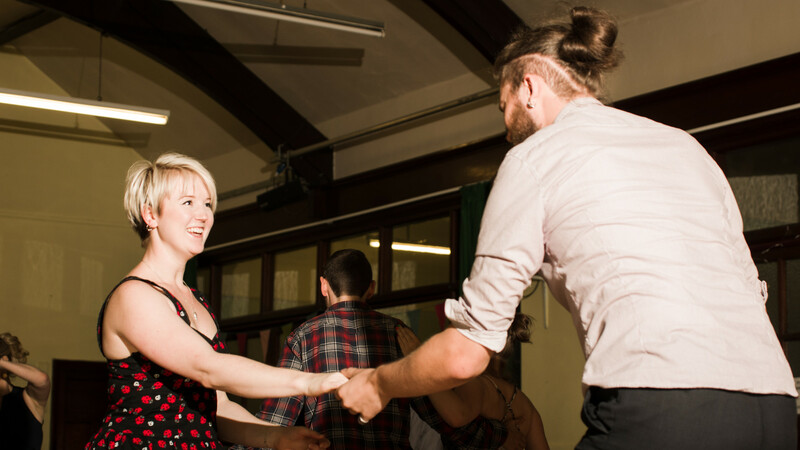 We recommend that you continue going to Fundamentals, or work on your dancing in Dawn's Den, even if you have started taking our Improver classes.